The Terms and Conditions listed below are a contract between Austin Car Transport and the client, along with their duly authorized agents (hereby referred to as the “Client”). Any vehicle shipment booked by the Client through Austin Car Transport is subject to these Terms and Conditions, as well as to the terms specified in the Bill of Lading. Upon request, Clients may receive copies of these documents. Moreover, these contract Terms and Conditions shall be incorporated by reference into and made part of any and all orders placed with Austin Car Transport by the owner(s) or agent(s) designated in the Order Form. Austin Car Transport is a bonded and fully licensed Transport Management Company registered with the USDOT. The Client understands that Austin Car Transport is a registered transportation and property broker. As such, Austin Car Transport only acts in the capacity of a broker. Thus, the Client allows Austin Car Transport to contract licensed and insured Motor Car Carrier(s), (hereby referred to as “Carrier”) to transport the Client’s vehicle(s), as laid out in the shipping Order Form. 1. The Client acknowledges and agrees that Austin Car Transport is authorized to arrange transportation from pickup location to the destination location, as specified in the Order Form. 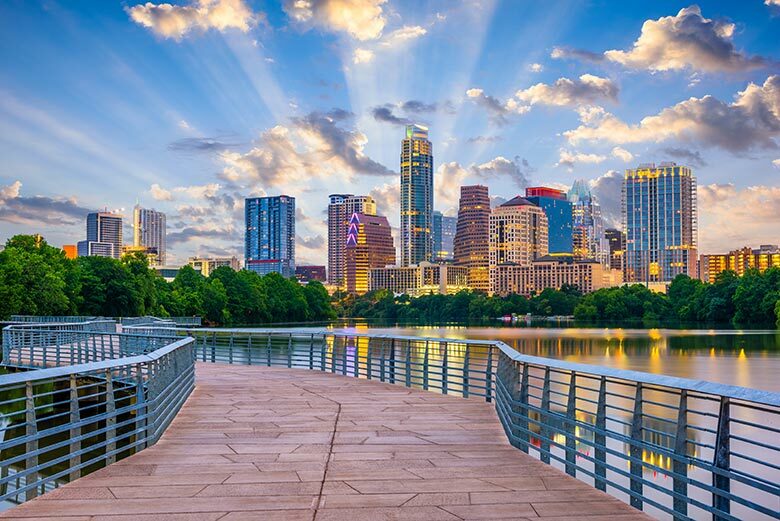 In addition, the Carrier, which will be assigned by Austin Car Transport, is approved to transport the Client’s motor vehicle(s) from the locations designated for pickup and drop off. And these locations shall be determined within the shipping order and Bill of Lading. 2. Next, the designated Carrier will pick up and deliver the Client’s vehicle(s) as close to the Client’s desired locations as possible. This shall be done according to legalities as well as safety concerns. A new location might be agreed upon between the Client and Carrier if necessary, due to any legal concerns (like restricted areas, etc.) or unsafe conditions (like low hanging trees, hanging wires, narrow streets, etc.). 3. There are no guarantees for dates and times regarding pickup or delivery. Weather issues, mechanical problems, road delays, or other unforeseen conditions could result in delays prior to and/or during shipment. Thus, Austin Car Transport will provide the Client with an estimated, but not guaranteed, date for delivery and pickup. 4. Moreover, Austin Car Transport will not be held responsible for any costs of damages or losses that occur due to delays of any kind or for any reason. This includes Client’s car rental fees or other types of accommodation fees. Moreover, Austin Car Transport cannot be held liable for the failure of mechanical or operating parts of the Client’s vehicle. 5. The Client must prepare their vehicle(s) for the shipment process. Any items that are not permanently attached to the vehicle should be removed before the transport. The Client must remove and/or secure any loose parts (like any low hanging spoilers, fragile accessories, etc.) Moreover, the Client must remove any outside mounted storage or racks. The Client also must disable any alarm system installed in the vehicle. If they do not, they need to provide instructions for the Carrier to do so. If they do not provide the Carrier with keys or instructions to turn off an alarm and the alarm sounds, the Carrier is authorized to silence the alarm by any means. 6. Moreover, the Client must present all vehicles to the Carrier in good running condition, unless otherwise noted within the order or previously discussed. If any part of the vehicle falls off during the transport, it is the responsibility of the Client, not the Carrier. This also includes any damages resulting from those parts to any vehicles(s) and/or person involved. 7. 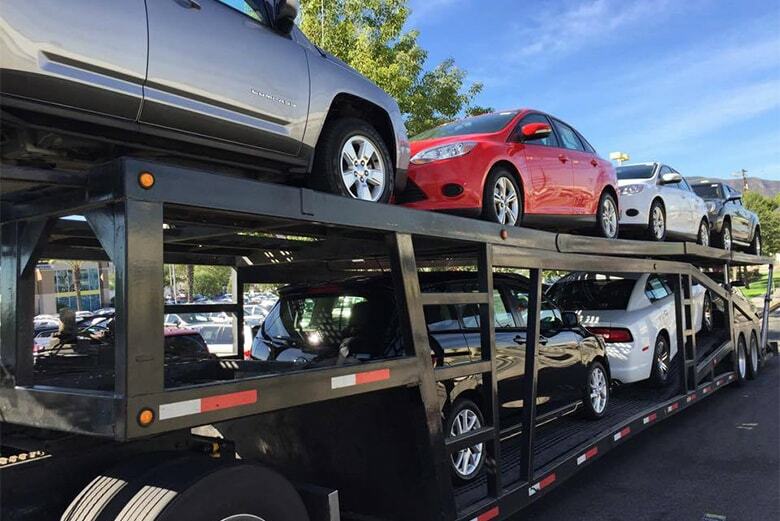 Austin Car Transport ships vehicles throughout the entire United States, therefore it provides auto shipping services to Alaska, Hawaii, and Puerto Rico by the use of vessels. Thus, for any orders involving Ocean Transport, the Client must completely empty the vehicle(s) of everything besides factory-installed equipment. 8. If the vehicle designated on the shipping order is inoperable or oversized (ex. dual or oversized wheels, lifted, racks, extra-large, limo, etc. ), the Client must notify Austin Car Transport and inquire about possible extra charges. 9. If the Client is unavailable to be present at the point of pickup or delivery for any reason, they must elect another person to act as their agent. Even when designating an agent, the Client understands that all the same terms and conditions apply. 10. The Client may place personal property inside the vehicle to be transported. Generally, if the luggage or property exceed 100 lbs., the Client should discuss the matter directly with the Carrier. Both the Carrier and Austin Car Transport are not liable for any personal property left in the vehicle. Also, neither are liable for any damages caused to the vehicle due to excessive or improper loading of said personal property. 11. The Carrier will never ship or agree to ship any dangerous or harmful personal belongings in the Client’s vehicle(s). This includes, but is not limited to the following: explosives, firearms, ammunition, flammable materials, negotiable or legal papers, narcotics, alcoholic beverages, jewelry, money, live pets, furs, live plants, etc. Essentially, no items will be transported by the Carrier that are considered illegal or dangerous. 12. The Client agrees that Austin Car Transport or the Carrier is authorized to remove and/or dispose of said dangerous items. In the case of this situation, no compensation will be given to the Client. In addition, both the Carrier and Austin Car Transport will not be held responsible for delivery of any personal property. If the Client wants to leave anything in the vehicle, it is at the Client’s own risk. 13. Both the Client and the Carrier must thoroughly inspect the vehicle for any pre-existing damages (in terms of the exterior) at the time of the pickup. Then, they should complete a vehicle inspection report. This report is then recorded on the Bill of Lading. Both the Carrier and Client must acknowledge and agree upon the condition of the vehicle at this time. Then, the Client has to sign the Bill of Lading. They should receive a copy after it is signed. 14. 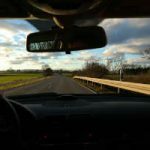 At the time the vehicle is delivered, the Client, with the Carrier present, should thoroughly inspect the vehicle again, looking for any damages that occurred during the transportation process. Then, the Carrier and Client must both acknowledge and agree on the current condition of the vehicle. Afterward, the Client shall sign and then receive the final copy of the Bill of Lading. 15. If there are any damages, they must be written on the Bill of Lading. After indicating damages, the Client needs to sign the Bill of Lading. If the Client signs both the Bill of Lading and the inspection report without noting any damages, that means that the Client has agreed and verified that they received the vehicle in an acceptable condition. This also verifies that the Carrier no longer is responsible or liable for anything involving the Client’s vehicle. 16. All responsibility is given to the Carrier after signing the Bill of Lading. The Carrier is required by law to carry a Cargo and Liability Insurance policy. All insurance claims must be submitted in writing within 24 hours of the delivery of the vehicle(s). Austin Car Transport will provide the details of the Carrier’s insurance policy to the Client upon request. 17. The Client agrees that Austin Car Transport is not responsible for any property damage claims to the Client’s vehicle. Instead, the liabilities fall upon the Carrier and the Carrier’s insurance. However, neither Austin Car Transport nor the Carrier will be held responsible for damage caused by force majeure (i.e. damage from storms) or any damages that occur from worn/broken parts of the vehicle or added personal belongings. 18. The Client also agrees and understands that Austin Car Transport is only responsible for procuring a Carrier for the shipment of the Client’s vehicle/property. Thus, it is the Carrier that accepts all responsibility of the vehicle after the first inspection is completed and the Client signs the Bill of Lading. After the Carrier delivers the vehicle, the final inspection is completed, and the Client signs the Bill of Lading, the Carrier is no longer liable. 19. Once Austin Car Transport has selected, assigned, and dispatched a Carrier for the Client’s shipping order, Austin Car Transport will notify the Client based on the contact information given during the booking process. A deposit consisting of a small part of the payment is required at pickup for all orders placed through Austin Car Transport. This nonrefundable deposit is calculated according to the variables of the particular shipment. This includes factors such as the type and condition of the vehicle; the type of shipment requested; and the distance of the shipment (based on the pickup and drop off locations). 20. Austin Car Transport’s services are considered rendered once a Carrier is assigned to an order and begins travel to the pickup location. Thus, the small deposit fee charged upon the pickup is considered the payment for services already rendered. For this reason, the deposit is nonrefundable. Any remaining payments are due to the Carrier at the time of delivery. 21. The Client is responsible for providing the full payment owed when the Carrier delivers the vehicle. These payments can be made in the form of money order, cash, or cashier’s check. Other forms of payment, such as business checks, credit or debit cards, should be agreed upon between the Carrier and the Client prior to the delivery. Please note that funds must be made payable to the delivering Carrier and not to Austin Car Transport. 22. If the Client is unable to make the payment, the Client understands that the vehicle will then be stored, at Client’s expense. The vehicle will be held until the Client pays all transport charges in full. Moreover, if the Client (or the Client’s selected agent) is unable to accept the delivery for any reason, the vehicle will also be stored. Then, any storage and/or re-delivery charges will be the responsibility of the Client. 23. Moreover, the Client agrees to pay the full price of the shipment that is owed to Austin Car Transport or the Carrier in full. 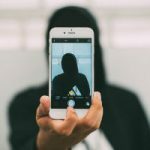 This means that the Client agrees to not attempt to dispute the payment for any reason (such as damage claims, delays, or other unforeseen circumstances). If there are any of these issues, the Client must note them on the Bill of Lading. After, the Client should file a claim with the Carrier’s insurance. This is considered a separate matter than the payment for the transportation services. 24. If the Client chooses to cancel their order, they must contact their representative or another member of Austin Car Transport right away. The Client has the option to cancel a transportation order with Austin Car Transport at any time with NO CANCELLATION FEE. The Client agrees that Austin Car Transport also has the right to reject or cancel any order. Austin Car Transport may cancel an order for any reason and at any time. 25. According to this agreement, Austin Car Transport is relieved from any and all actual or alleged causes of action, loss, liability, claims, demands, injuries, and/or damages (to persons or property). Austin Car Transport is not responsible no matter if these are brought by an individual or another entity and then imposed by a court of law or by the administrative action of any federal, state, or local agency, as a result of any acts, negligence, omissions, or willful misconduct of Austin Car Transport or the Carrier (or any personnel, agents, or connected parties). 26. This includes, without limitation, the payment of any penalties, fines, attorney’s fees, or other related expenses, as well as any reimbursements to the Company for all legal expenses and costs incurred by it. 27. In addition, these terms shall override all previous written or oral communication between Austin Car Transport and the Client. Once a Client books the services of Austin Car Transport, they have agreed to all of the above terms. The Client warrants that they have read this agreement in its entirety and accepts the terms. The Client understands that by partaking in a transaction with Austin Car Transport, they agree to the terms and conditions laid out here. Moreover, the Client waives any claims based on not reading or understanding these terms and conditions. This means that the Client will not hold Austin Car Transport responsible for any costs or fees that arise due to not reading, understanding, or having knowledge of these contract terms for Austin Car Transport defined above. These terms and conditions are subject to changes, alterations, or updates by Austin Car Transport at any time.